I am a creative person, and I like to do it all. Being a natural scientist, I like to design in many ways whether if its graphic design, web design, video editing, or recording audio tracks. However, to harness my creative ventures, it often comes with its challenges and complexities. For instance, I have a 128 gb MacBook pro, and its memory has been eaten up not once but multiple times by my creative endeavors. As a quick solution I purchased an external hard drive so that I could back up .png, and MP4 files from my laptop for storage. But what if I had a solution which would allow me to store practically unimaginable amounts of data? Would having a DNA hard drive solve my storage problems? According to Dr. Peck, the Chief Technology officer at Twist Bioscience (2017), he explains that “just a tiny amount of DNA is capable of holding a zettabyte of data” (p.1). Seeker (2017) points out that for reference’s sake “the entirety of all the web traffic in the world in 2016 equates to 1.1 zettabytes of data. A zettabyte is 1 times 10^12 gigabytes” (YouTube). Service (2017) claims that we could store the entirety of data belonging to humanity in one room using DNA as a hard drive (p.1). World Economic Future Computing (2015) YouTube video highlights Dr. Nick Goldman reporting that, “sequenceable” DNA has been read from ancient horses dating back to 700,000 years. He mentions Information Technology to DNA may sound like a stretch, but the stretch is accomplished by code. Goldman explains that the similarities are that computers and computer programs run on code and so does DNA. DNA is the oldest and most efficient form of data storage in existence. World Economic Future Computing (2015) YouTube video highlights Dr. Nick Goldman also explaining reporting binary is a language which consists of only two types of coding units, namely 0s and 1s, DNA code is ternary—which means that it consists of 4 coding units. Reflecting on high school biology classes where we learned about DNA’s four nitrogenous bases—namely adenine and guanine (the purines), and cytosine and thymine (pyrimidines). 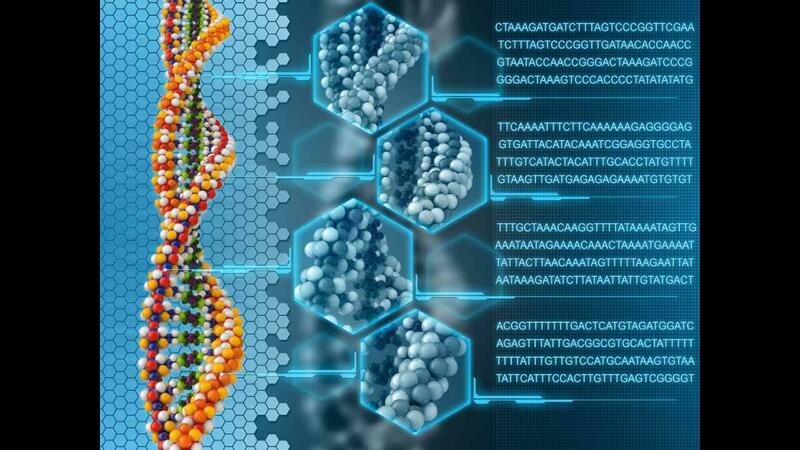 The designations of A, G, C and T (the single letter codes of the four nitrogenous bases) are the four coding units that scientists use to “write” DNA storage files of videos, audio, images, and so on. The future is now here. Before long a computer with a DNA hard drive already built in may truly give one pause to reflect with wonder.